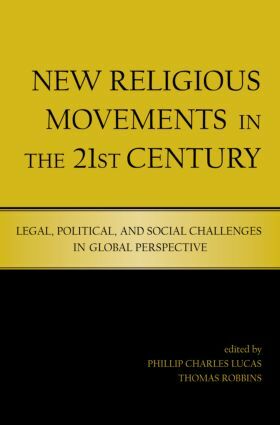 New Religious Movements in the 21st Century is the first volume to examine the urgent and important issues facing new religions in their political, legal and religious contexts in global perspective. With essays from prominent NRM scholars and usefully organized into four regional areas covering Western Europe, Asia, Africa, and Australia, Russia and Eastern Europe, and North and South America, as well as a concluding section on the major themes of globalization and terrorist violence, this book provides invaluable insight into the challenges facing religion in the twenty-first century. An introduction by Tom Robbins provides an overview of the major issues and themes discussed in the book. France's Obsession with the "Sectarian Threat"
The Secte Response to Religious Discrimination: Subversives, Martyrs, or Freedom Fighters in the French Sect Wars? Crushing Wahhabi Fundamentalists in Central Asia and the Caucasus: Subplot to the Global Struggle against Al Qa'ida or Suppression of Legitimate Religious Opposition?